A night of great dance music from the 50's. Rock and Roll and Rockabilly from the BAMBOO ROCKETS and invited guests. Good dance floor, courtesy bus, great chinese food available from 6pm. $5.00 admission and affordable prices on drinks and meals. 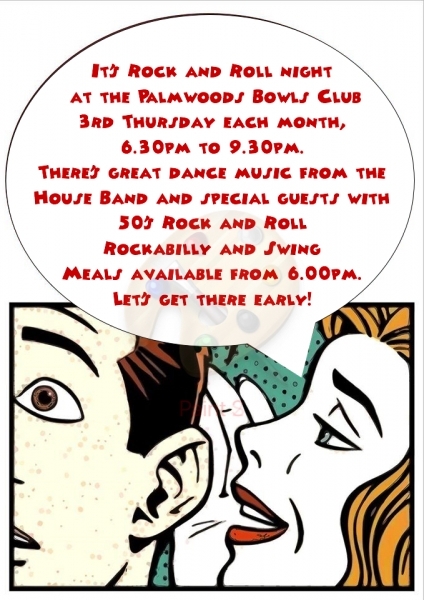 6.30pm to 9.30 pm at the Palmwoods Bowls Club, third Thursday of each month.